Our theme was “The Holiness of God and His People”. Graham Harrison of Newport gave two papers, both focusing on the true nature of the gospel. The first, a seminar for pastors and elders, attracted over 30 men. In the second he reminded us of what a joy it is to the believing heart to hear the true gospel preached. The conference proper got under way on Friday evening with a paper from David Harding of Milnrow. “Worldliness” was shown in all its horrific garb. Yet strangely it entices, clings, pulls. We took an axe to our bass guitar – why? In all we do to combat worldliness we have only one aim. We are not trying to obtain nor retain our salvation. Our single aim is to please the Lord, thus giving the lie to the accusation of legalism. To understand “The Holiness of God”, we must begin with “the relationship within the Trinity”. From this, the deepest of all our doctrines, Stephen Rees, drew out some key points. He took us to creation, giving us a glimpse of the richness of God’s fellowship with Adam, and His delight in all He had made. It was against this backdrop that Stephen then expounded the awfulness of the fall. It is seen in God’s burning anger for sin. It is recorded on almost every page of scripture: a reminder that we need to read accurately if we are to live properly. It was powerful stuff, and rebuked our shallow, easy going ways. 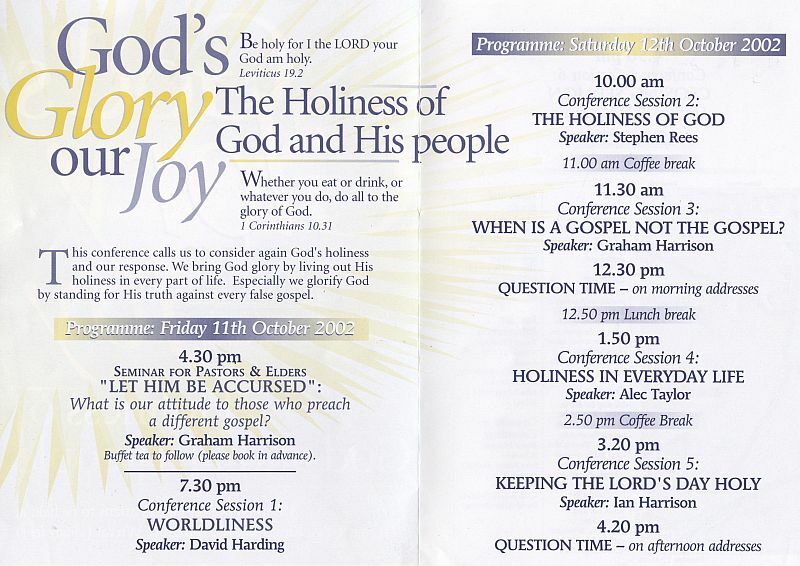 “Holiness In Everyday Life”, Alec Taylor and “Keeping the Lord’s Day Holy”, Ian Harrison were thorough, full of practical application, and obviously the result of much prayerful reflection. With his usual zeal, Alec took us into the home, the workplace and onto the mission field. Laziness, dishonesty and plain slovenly living dishonours the Saviour. Ian probed the motives that should lie behind our special day. It was a thoughtfully crafted paper, full of wise suggestions. How do we encourage our children? How do we deal with unbelieving relatives? Buy the tape and find out. Billy McCurrie preached the closing sermon. He chose as his subject Moses, the man with many disadvantages, but who yet served to God’s glory. These conferences have an aim: to help build Biblical churches in the 21st century. 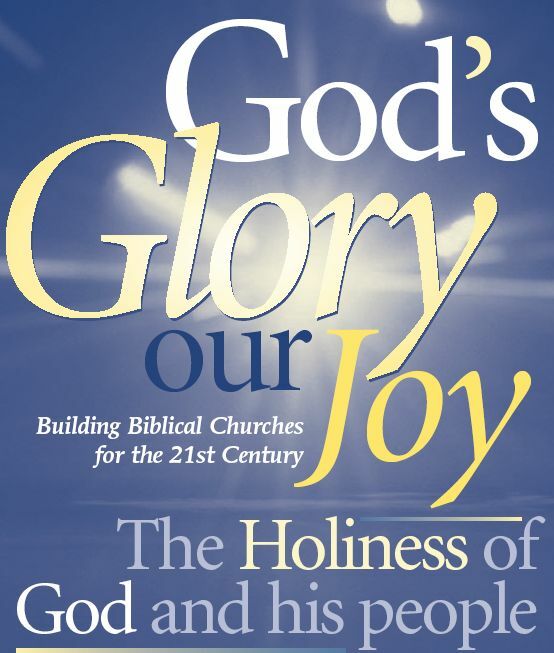 Our leaflet this year stated: “This conference calls us to consider again God’s holiness and our response. We bring God glory by living out His holiness in every part of life…” We believe that we have made a tiny step towards achieving our goals.